My art classes are different from most craft classes. I think of my sculpture/art classes as something more like piano lessons. Making art requires a combination of skills, practice, and inspiration. I don’t judge success based on some sort of physical object at the end, I am more interested in the process that got us to that finished sculpture. 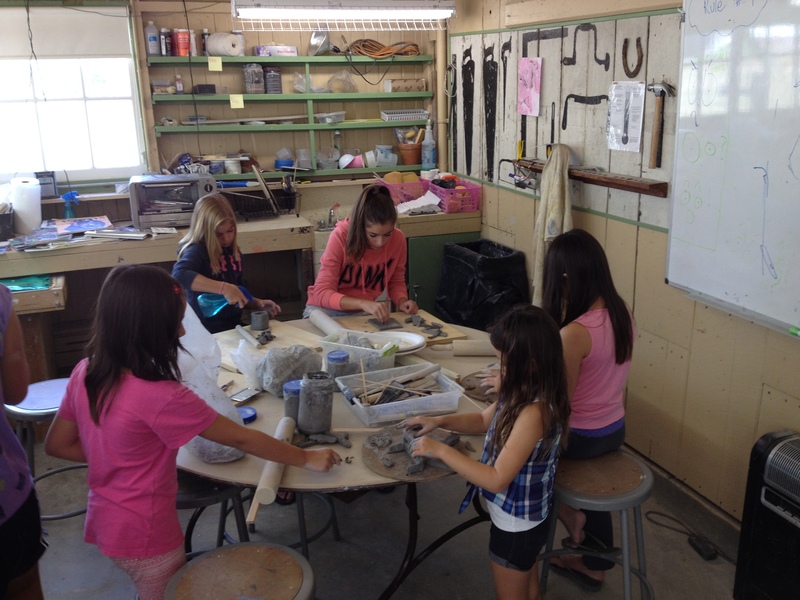 When you talk to your kids about the sculpture class ask them about their inspiration, their ideas and how much they enjoyed the process. Of course it’s interesting to see and talk about the sculptures and other art that they make also, but it is not be the main focus of my class. I think it’s interesting that as I learn more about making sculptures I appreciate other people’s sculptures all the more. I also have learned to appreciate many different types of art which I may not have appreciated before. By focusing on the process and the art of creation it’s possible to see many ways to explore those ideas. This extends to all types of Art. I have made many sculptures which I completed and then put back into the bucket. I also have some sculptures which I have worked on for over a year and will probably never finish and actually don’t even want to finish. It’s not about the sculpture… it’s about making that sculpture. Singing in the shower is not about the song, it’s about singing. Piano lessons and piano practice are a way to learn the skills and understand the tools required to make good music but the real payoff is getting enough experience and skills to love making music. I hope to help everyone develop an artistic passion and confidence, so that their whole life is enriched by the arts. I am “ EricTheSculptor “ on Instagram ,Facebook, Twitter, Etsy, Tumblr, Pinterest, and many more.